By formation of the joint venture by two established companies, we offer you a maximum of expertise and experience. We see it as our task to implement your individual goals and requirements innovatively. Every new project needs comprehensive and professional planning that will be customer-centric. Our capabilities include engineering, manufacturing as well as installation and commissioning. We will find tailor-made, realistic and reliable solutions that meets your business needs. Our product range includes for example Hot Blast Valves, Goggle Valves, Equalizing Valves, Bleeder Valves and Tuyere Stocks of the latest design and the highest product quality. In addition to standard solutions, our goals are customizable focused on maintainability and reconditioning. On this occasion the experience of our own workshop gives us a massive edge in the redevelopment and advancement. Our goal is to convince you with our expertise and our high standards of quality every time. 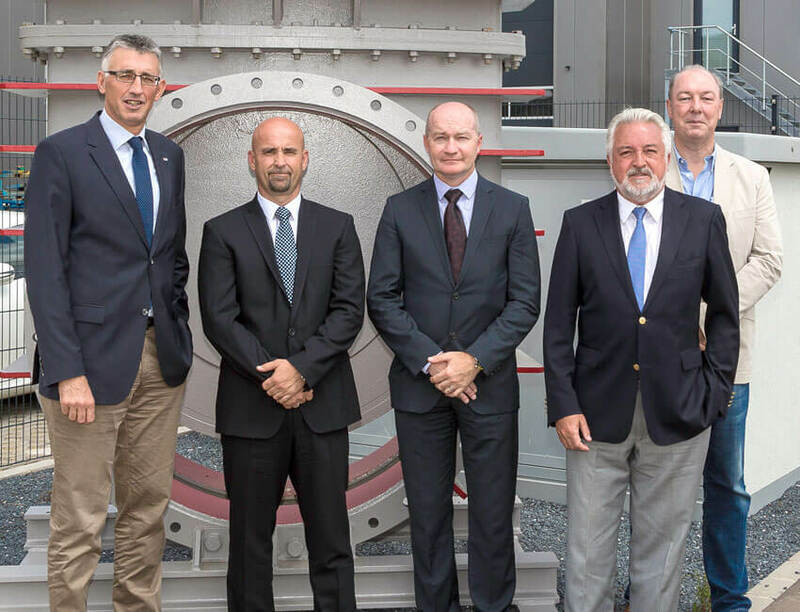 To give the Project JOINT VENTURE the right face and the right importance it was decided to nominate the CEO of Paul Wurth S.A., Georges Rassel, as President of the Board of VCL S.A.
as Managing Directors of SAB S.à.r.l., are designated as direct representatives of the SAB S.à.r.l. on the Board of VCL. Here, Mr. Kratz will be in a dual function as one of two Managing Directors of VCL. as Managing Director of Paul Wurth International S.A., was also appointed to the Board of Directors of VCL. He will support VCL with all his experience gained in the many years working for Paul Wurth. of Paul Wurth S.A., was appointed by the Board as a further Managing Director. Our goal is to convince you with our expertise and our high standards of quality every time. Headquartered in Luxembourg since its creation in 1870, the Paul Wurth Group is a leading player in the global market for design and supply of equipment and plant facilities for the ironmaking industry. Paul Wurth is an established technology provider and supplier of complete blast furnace and coke oven plants. Agglomeration plants, direct reduction plants, environmental protection technologies as well as waste treatment and recycling facilities complete Paul Wurth’s product portfolio focused on the primary stage of integrated steelmaking. With more than 1600 employees, Paul Wurth is active worldwide, operating entities and affiliated companies in the main iron and steelmaking regions of the world. Paul Wurth is a member of the SMS group. From a company specialised in manufacturing rail systems incorporated in 1999, SAB has been expanding its product range towards components for steelworks, blast furnaces and other industries. Operating a 8000 sqm production workshop in Grevenmacher (L), SAB provides engineering, manufacturing and commissioning of unit equipment and spare parts. Repair and servicing activities complete the programme. The company has a workforce of about 120 employees and strong customer relationships in European plants.